It's finally time for first Nations Cup event of the season, Grote Prijs André Noyelle (aka Gent Wevelgem U19). History of the race started in 1983 when Reginald Vandamme won the first edition. In 1996 race was named after André Noyelle, the only Belgian Olympic gold medalist in cycling who was born in Ypres, city host of this event . On the list of previous winners you may find some big names like Meersman, Stannard and Devolder. Dutch riders have won three consecutive editions (Looij in 2013, Cornelisse in 2014 and Eenkhoorn in 2015). Last year we saw Alexys Brunel riding away solo while Ethan Hayter and Marc Hirschi completed the podium. 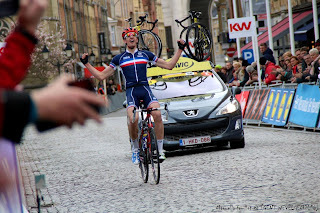 Since last year the race is officially a part of Gent Wevelgem which has seven races held on the same day, from elite men to u17 women, with more then 1000 cyclists involved. Race will start and finish in Ieper and it's 129 kilometers long. The main difficulties are of course the cobbled climbs. We have five of them with two passes over famous Kemmelberg with the second one 30 kilometers from the finish just before the final climb of the day, Monteberg. The route is slightly different than last year as it's nine kilometers longer and also the last climb is nine kilometers further from the finish. Can we expect a big bunch coming to Ieper ? Probably not but we can see more tactics playing after the final cobbles. The course looks pretty tough and I'm most dreading the Kemmelberg. Tomorrow I will recon the final finishing circuit and I think the climbs are going to be the most crucial points. Tom Pidcock from GB is going really strong along with Wesley Vercamst of Belgium who has rapid sprint but there are also a couple of really strong Dutch riders. It will probably be an usual thing for one day races to write about favorites starting from Great Britain. The obvious favorite is Tom Pidcock, current cyclocross world champion who, after a short break, came back quiet successfully to road racing with fifth place in Gudio Reybrouck Classic, despite crashes and flat tires. If nothing bad happens, he's the man to beat for Sunday. He can expect a strong support from his team mates, especially Fred Wright and Joe Nally, who both managed to finish this race in top20 last year (as well as Pidcock). But it's not the end of favorites from GB! Apart from national team, organizers also found a slot for South East cycling team lead by Jacob Vaughan, guy in form, who recently won Guido Reybrouck Classic (and smaller race in De Klijte few weeks back). If you want to read more about his recent wins check his blog here. Current national champion is racing well on cobbles for a few weeks already and we can expect him to be one of the strongest guys in peloton. Belgium will be led by Wesley Vercamst, sixth here last year and eighth recently in Guido Reybrouck Classic, once place behind his team mate, Ward Vanhoff who can be another option for Belgian team. Also take an eye on Thibaut Ponsaerts who had amazing results in u17 category and is going to ride for a national team for a first time as junior. Apart from the national team we have a several regional ones on start including Flemish Brabant lead by Nokere Koerse winner, Arne Marit and West Flandres lead by Thomas Vansteelandt, 2nd in Guido Reybrouck. Dutch team is another strong one where pretty much every rider can aim for top place. 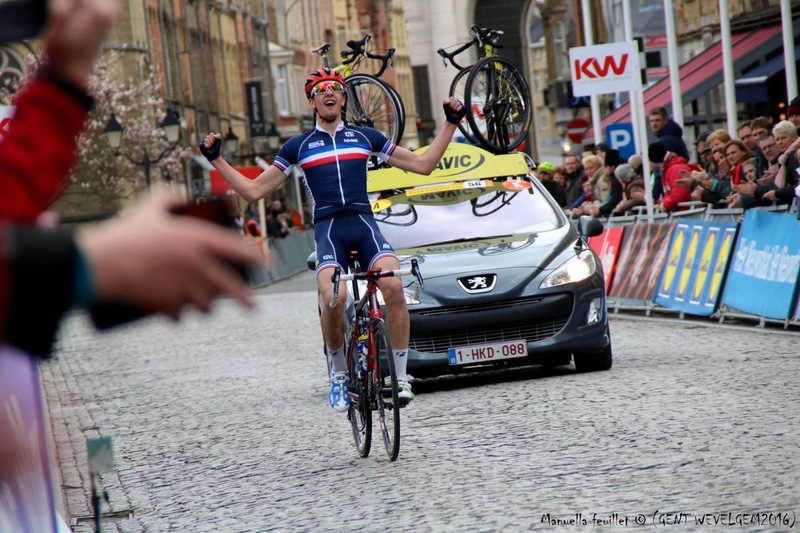 Maikel Zijlaard was sixth in Guido Reybrouck Classic and won Zepperen-Zepperen in Belgium earlier this month. Daan Hoole was eighth in KBK, third in Nokere Koerse and sixth in Zepperen-Zepperen. Denmark will be lead by Kuurne Burssels Kuurne winner, Johan Langballe but also keep an eye on Mathias Larsen. Michele Gazzoli already scored his first win last week in Italy and will try to improve his nineth place from last year. Other names to watch: Remi Huens, Niklas Markl, Matus Stocek, Nik Cemezar, Jeremy Frehen.